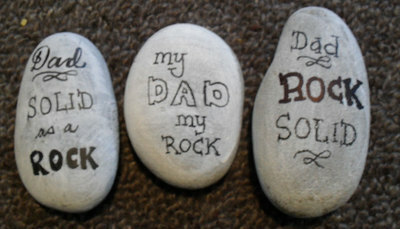 Give Dad a rockery this Father's Day! 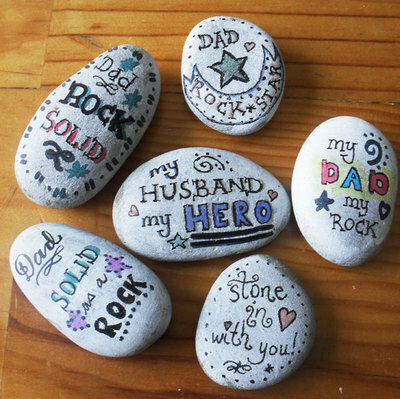 A decorated stone each year from each member of the family (including you, Mum) will build into a meaningful, heartfelt collection of appreciation over time. 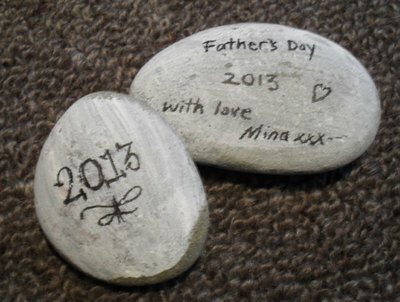 Don't forget to write the year on the bottom of the stone. 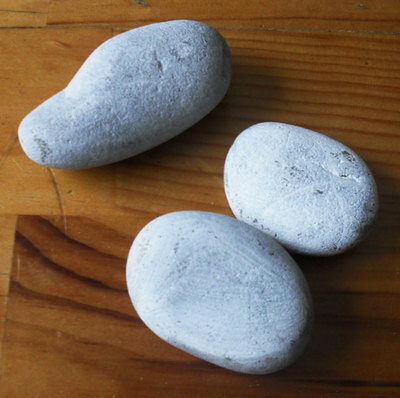 You might like to write down who its from as well. 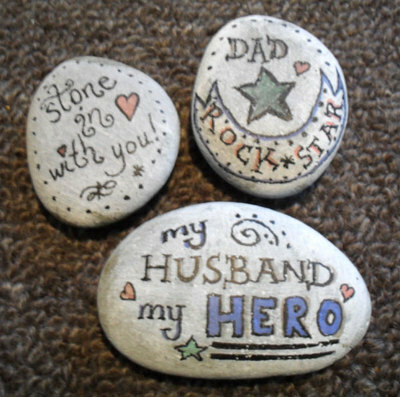 These stones have a vintage look to them, achieved by a whitewash paint base and cheap kids markers give nice muted hints of colour.